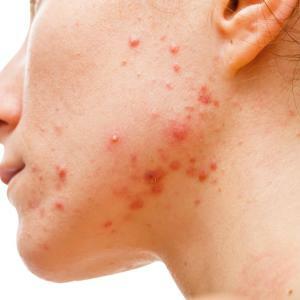 Molluscum contagiosum is an infection due to poxvirus that results into discrete skin lesions with central umbilication. Spread is by skin-to-skin contact, fomites spread and autoinoculation. Patients with atopic dermatitis, HIV or immunodeficiency are particularly susceptible. Incubation period may be from 2-7 weeks. In children, it usually presents with lesions on the face, scalp, ears, trunk and extremities and crural folds while in adults, it is typically sexually transmitted and affects the groin, genital area, thighs and lower abdomen.